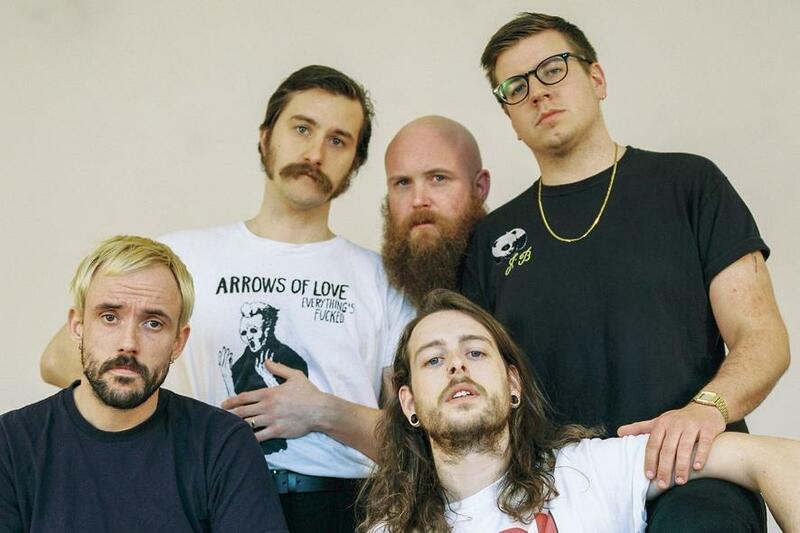 Formed in Bristol, IDLES are the socio-political-rock rants of Joe Talbot, and his pantomime band of guitar warriors. Described by NME as leaders of “the positivity punk revolution”, IDLES are brash, loud, full of good humour, and at the same time, stark rhetoric. Their debut LP Brutalism arrived in 2017, featuring one of the act’s biggest hits, “Mother”, while the follow-up, Joy as an Act of Resistance, has been ecstatically received across the world. Their songs touch upon progressive topics such as toxic masculinity, diversity in the community, the NHS, bereavement and honest discourse. It makes them like a funner version of Rage Against The Machine — fighting against net-capitalists, while making sure everyone has a good time doing it. Live, IDLES are at their best. Talbot, a staggering well-built, tattooed giant cavorts his muscular figure onstage, while guitarist Mark Bowen is often seen in various stages of undress. They’ve played everywhere from Primavera Festival to supporting the Foo Fighters at the O2 in London. IDLES are the post-Brexit punk band the UK needs, matching the lyrical wit and narrative of Sleaford Mods, with the guitar ferocity of say early Idlewild, or even The Damned. Talbot in interviews is uncompromising, smart tongued, and quick witted. He likes to talk about his battles with alcoholism, the loss of his mother, daughter, and the need for honesty and compassion in today’s society. Talbot sums up IDLES, through brutalist joy, just like the band’s music.